When mitral valve gets fatigued . . . AML moves differently ! Anterior mitral leaflet (AML) is an unique structure in the heart .It is the fastest moving structure inside the heart . It is the first structure visualised by echocardiogram by Elder and Hertz in early 1950s . While AML is known for vigorous motion , the PML motion is subdued . By tradition AML shows a motion which resembles alphabet M .
But AML is not be taken lightly . It can change it’s motion not only in pathological states but also in health . One such pattern is trifid motion of AML . Following is a Echo Image in a perfectly normal Individual . The plane of M-mode cut will change the mitral valve motion . (May be this is most common ).M-mode at tip of mitral valve may be trifid ,however a little beyond may record a bifid-M pattern . Finally , it could be a sign of mitral valve fatigue after excrcise . Some of these persons revert back to M pattern after a brief period of Trifid motion following exercise . Does trifid AML motion result in Tri-phasic doppler flow as well ? Mitral valve filling is classical E and A . 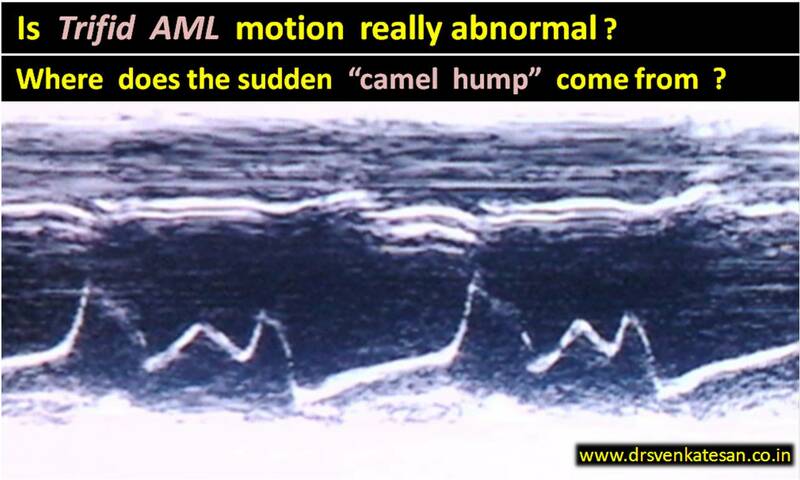 This usually correspond to M pattern of anatomical AML motion . Do the anatomy goes hand in hand with physiology ? 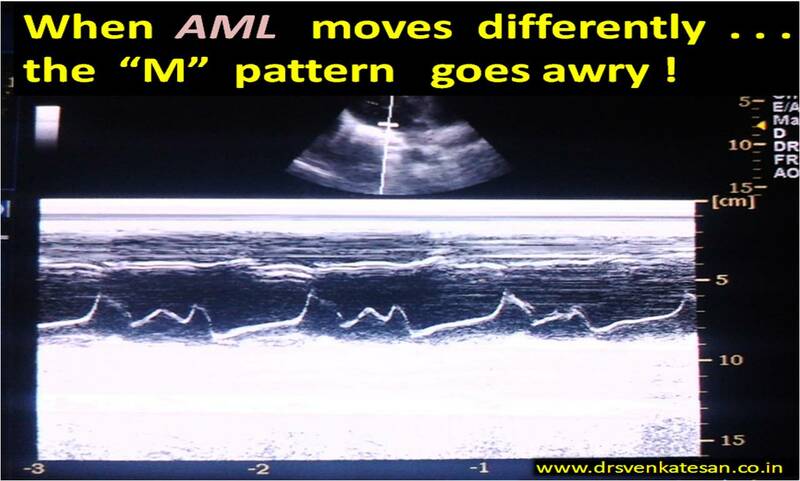 Will the mid diastolic AML drag result in augmented flow ? We are looking at this phenomenon .